What’s all this talk of A-Book and B-Book brokers I hear you say? Let me explain in simple English. 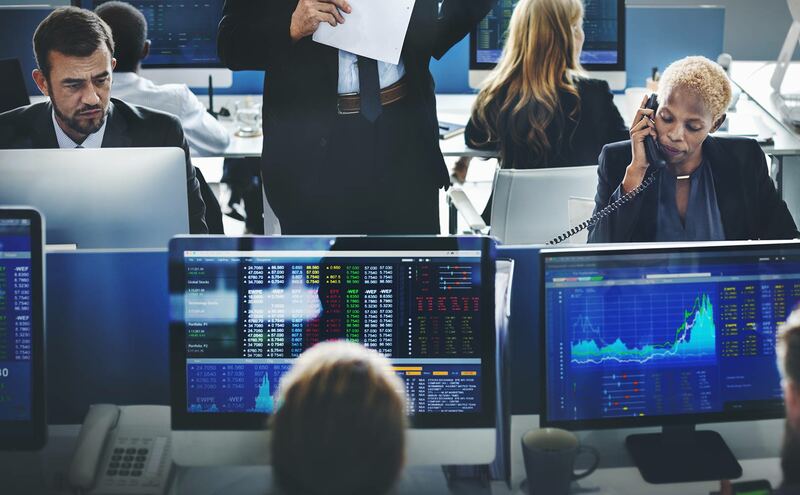 At the end of this post, you’ll be able to explain to all your rookie trader buddies the secret workings of the brokerage industry. I guarantee you’ll be able to impress them and totally sound like you know what you’re talking about. Firstly, let’s clear the air. Almost every broker in the world is a mixture of A-Book and B-Book. It’s not like there’s a secret fraternity of A-Book brokers that walk around in white suits releasing doves into the wild and saving homeless traders from the street. All brokers (with very few exceptions) are a combination of A & B-Book. A-Book means your trade is passed through to the market and filled by a “liquidity provider”, basically a fancy term for “Bank”. Imagine you want to buy some USDJPY, your broker places the order with the bank, the bank then digs into their vault and fills your order. This A-Book transaction is what most people understand as the role of a traditional broker. A transaction facilitator. Not a supplier. Think of a real estate broker or a stock broker. They source the deal, and in return, earn a commission. B-Book on the other hand! Forget the bank. You’re now buying directly from the supplier. When placing a trade on the brokers B-Book, they fill your trade internally. Instead of passing your trade along to the banks, they’ll fill you from their balance sheet. They take the risk with their own company capital. So when you win, they lose. And vice versa. I hear you… but it’s not as unconscionable as you think. It’s completely legal. I’ve even been told the regulators actually encourage the practice because it results in clients trades executing at a better price (due to the order being filled instantly). I know I know… I was as shocked as you when I first learned how the inner workings of the brokerage industry operate. Here’s how they get away with it. ALL regulated forex brokers possess what’s known as a “market maker license”. Whether the broker is regulated by ASIC, FCA or the NFA, it’s the same. They have the OPTION to fill the trades internally (B-Book) or pass them through to the market (A-Book). As a client, you’ll likely never know which book you’re on. In my experience, big accounts are placed on A-Book due to the risk to the broker. Imagine having a $200k account, going short 1,000 lots at on USDJPY and picking up 100 pips? You just made $1mil. That’s not a risk most brokers are willing to take! On the other hand, if you’re trading a small account the odds are that your trades are executed on B-Book. If your trades are being filled quickly during a news release, then it’s a safe bet you’re on B-Book. Traditionally liquidity dries up during times of high volatility, so it’s harder to find a counterparty (bank) to fill your trade. However, on B-Book, that’s not an issue because they fill your order instantly. If you’re trading an EA that makes money during news releases, then I can say with 99.99% certainty that you’re on B-Book. I don’t think it does. If you put the morality aside of brokers pretending to be white knights who hunt down the best liquidity in the world to deliver you spreads of 0.0, and instead accept the fact that price is the only thing that matters, B-book is superior. The only way to ensure that happens is to trade profitably. Take their money initially, then they’ll move you to A-Book and you’ll all trade happily ever after. Click here to view a list of trustworthy brokers where we trade our own funds. Do you have any experience managing risk within a broker? Please share your inside tips and experiences for the benefit of our community. You have our assurance that your identity will remain anonymous. Continue reading – Do forex brokers hunt your stop loss? Nice post Nick. Well said. Excellent and clear explanation. @Nick, when people talk about Market Makers and ECN are these two terms linked to A- and B-book?